Super Division U12 (SD12) is a competitive division aimed at providing a fun environment whilst teaching kids ice positioning, puck movement and team situations. Eligibility Players should be born in 2005/2006, unless otherwise approved by the coach. 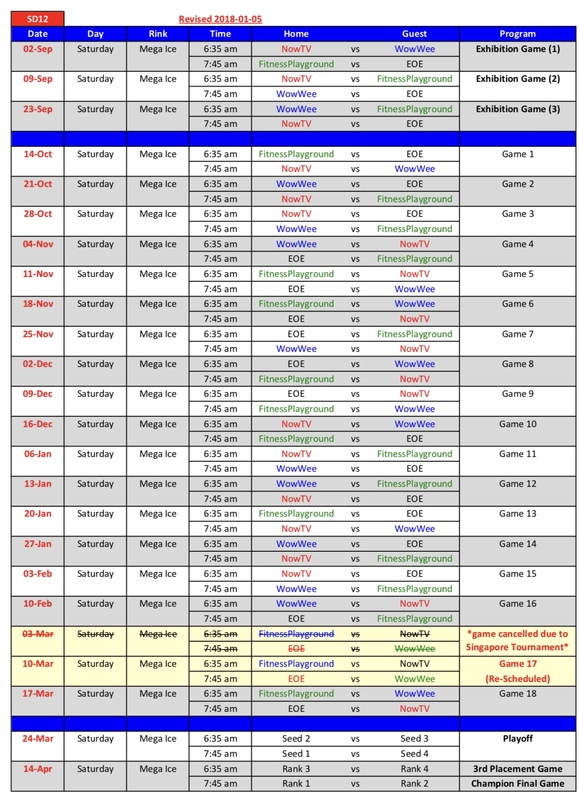 Regular season will play round robin 18 games and followed by playoff semi-final, 3rd placement game and final.